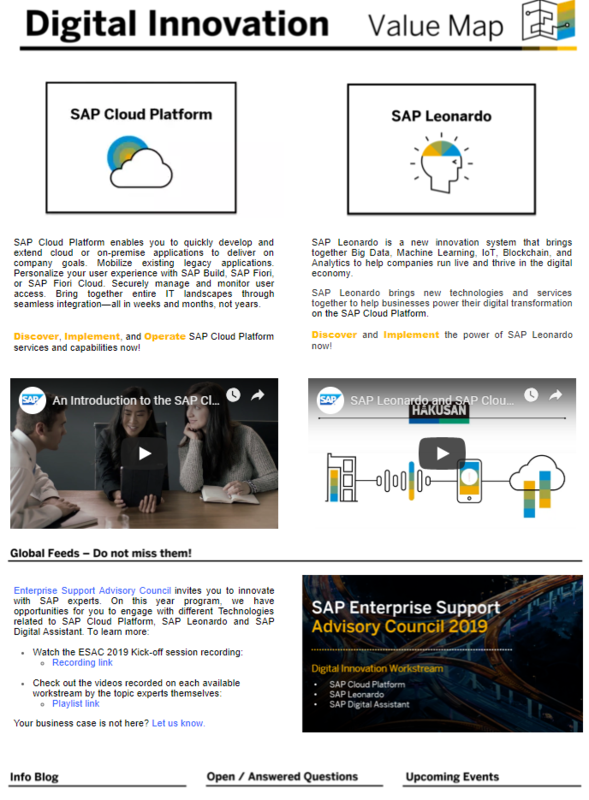 SAP Enterprise Support Academy recently launched a series of meet-the-expert (MTE) webinars to introduce the benefits in having an intelligent enterprise strategy with harmonized digital innovation. It’s all about sustainable success, which results from the measure of the integration efforts you put in to realize your innovative business strategies. This series addresses your goals to support you in achieving favorable business outcomes. Check out the replays from April’s intelligent enterprise MTE series. All SAP Enterprise Support and PSLE customers that are registered in SAP Learning Hub can use these offerings. Discover how integration is central to the intelligent enterprise and understand SAP’s integration strategy and what will be revealed within the next 3 webinar replays. Learn about the total workforce management business process and latest technologies which can give you flexibility to attract, hire, contract and retain top talent. This replay will cover the key business challenges as well as SAP’s vision for the future of the workplace. Learn how an integrated landscape addresses the full range of source to pay business processes, from productivity gains transforming value chains across industries to fueling new growth and revenue streams, and being able to adapt even faster to change. Is there a value map for this and other topics on digital innovation? Yes! SAP Enterprise Support value maps powered by SAP Enterprise Support Academy are a great place for customers in pre go-live stage to get valuable information that can help you to understand how to plan, prepare and go through your implementation processes. Also, with value maps you get access to SAP experts and are able to ask questions. Customers in post go-live stages will also find interesting information, like notifications about upcoming product updates, links to available resources, blogs written by specialists, and so on. Stay at the cutting edge of innovation and find all relevant updates.